The Napbag is a new and unique product that is ideally suited for baby/gift retailers looking for high-quality, distinctive products. 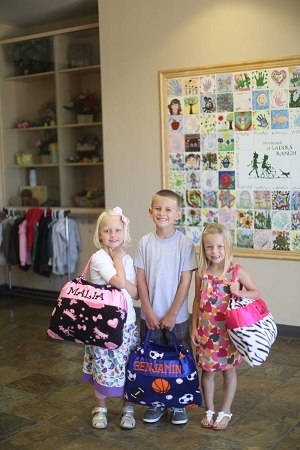 The Napbag appeals to parents and grandparents of young children (especially preschoolers and kindergartners). The Napbag conforms to preschool/daycare guidelines which generally allow one pillow and one blanket to be brought to school for nap time. To make this gift even more unique, simply personalize it with your Little Ones name or initials. 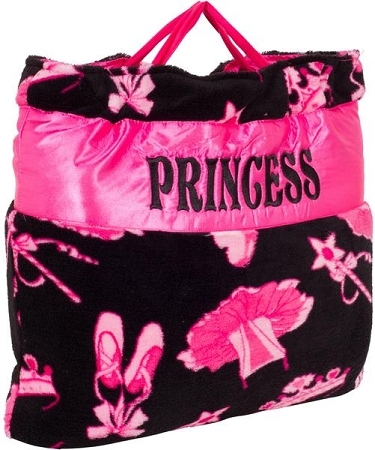 Our Napbags come in 16 different designs for both boys and girls. These are easy to care for and fully washable (just remove the pillow). 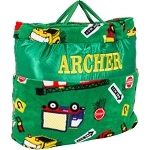 Our Napbags measure approximately 30"w x 50"l when unfolded (not including the attached carrying bag) and 18"w x 14"h x 6"d when folded into the attached carrying bag, which is perfect for those little cubbies!